It may be a near universal agreement that washing make-up brushes is a chore. Personally, I leave it as long as possible before washing mine because I'm a big avoider of things I don't like doing. 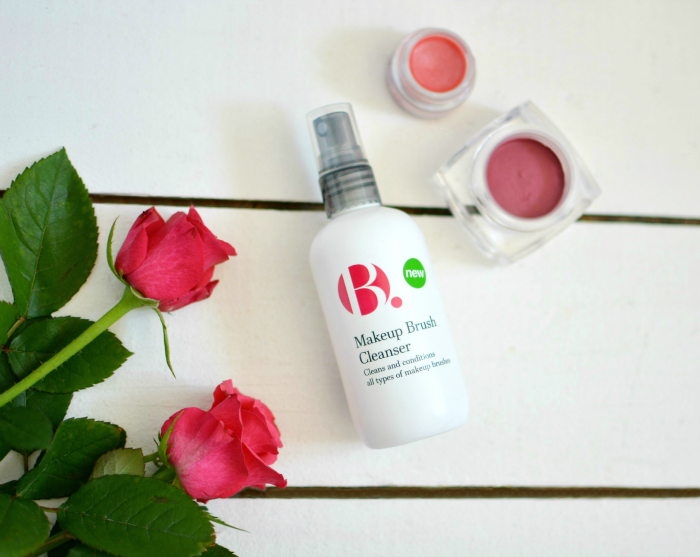 So if you're like me and the thought of cleaning your whole make-up brush collection fills you with dread, say hello to your new friend the B. Make-up Brush Cleanser. Now when I first bought this product, I was hoping for it to speed up the amount of time I have to spend cleaning my brushes. And it absolutely does, just not in the way I expected. This spray is not made for deep cleaning. What it is brilliant for though, is quickly spritzing your brushes clean and, depending on the size of the brush, only having to wait a few minutes for them to dry. So when I 'forgot' to clean my make-up brushes last weekend, I only had to spray them with a little of this magic formula and wipe the make-up off on to a tissue to get them clean. My eyeshadow brushes were dry within a minute, and my big powder brush within three. Easy peasy! How do you clean your make-up brushes? Is it something you love or loathe?